Use crosshair to select locations precisely. first of all: I really like the “Crosshair placement” mode and also new features of “long tap on waypoint” . From my point of view snapping to next street would improve the “Crosshair placement” mode (same algorithm as “Place waypoints on street”, but only for this waypoint / the crosshair). In that rare cases, where I do not want to set the waypoint on the street, I can shift the crosshair afterwards. 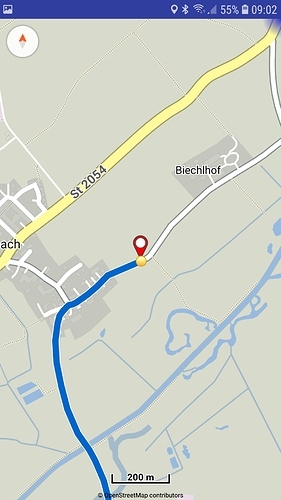 Note that “Place waypoints on street” action snaps the waypoints on the already pre-calculated visible route. Without a route the snapping cannot work. With crosshair mode can already scroll & zoom the map enough to place the waypoints precisely on exact place or not, depending on each user needs. thanks for the feedback - I was not aware of that. The new crosshair mode is great to precicely place waypoints. You can zoom in and place your waypoint as you like. But when finished, you end up “zoomed in”. Is it possible, to save the original zoom-level and go back to this after editing is finished? Everything is possible and we have thought of that. 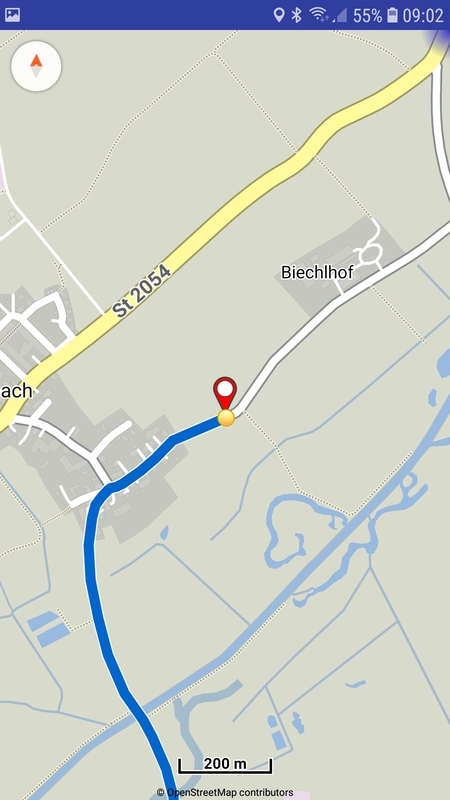 Though other users may prefer to continue working in the area without the map reverts automatically. So most sane approach for all seems to let users handle their map region? Let the user select zoom level and map section. When user wants to work on a specific area he/she could select that area before entering edit mode. It is not only about zoom level, but also map section. With the new crosshair mode you always end up centered at the point you’ve just edited, no matter what map section has been chosen before the editing. This is not the case with the old classic mode where you don’t change map section, when moving a waypoint. Let the user select zoom level and map section. That happens already in the most free way without automations. When user wants to work on a specific area he/she could select that area before entering edit mode . 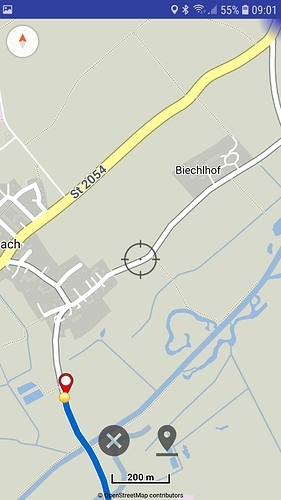 Cannot expect / force users to scroll & zoom before selecting a location action (e.g. set destination) which triggers the crosshair placement. Each user works based on own preferences, i.e. may want to scroll & zoom after enabling the location action. Should not compare or expect similar workflow with the old drag mode versus the new crosshair mode. They work completely differently. Also imagine that a user happens to have the map all the way zoomed out (country level). Then initiates the location placement with crosshair mode and zooms in a lot to set a waypoint. After the location placement, is the map supposed to zoom out again so much in country level? And why not in a more regular street zoom level some other may ask? Exactly that would be my desired behavior. If the user has the map all the way zoomed out, I think he has a reason for that. IMHO the program should not change the zoom level and map section if you place a waypoint somewhere. But that’s my preference. Others may think different. It’s not a big deal. I just thought it would be convenient, if the program could preserve the zoom level and map section, the user has chosen before editing. Let’s see what other users also think for the crosshair workflow. I had the same thought early on when we started developing the crosshair mode. After I have worked quite a bit with the crosshair mode, I prefer the current work flow. It feels more natural to stay in the current view and see how the route changes and if one might want to move the waypoint again or add another waypoint in the area.